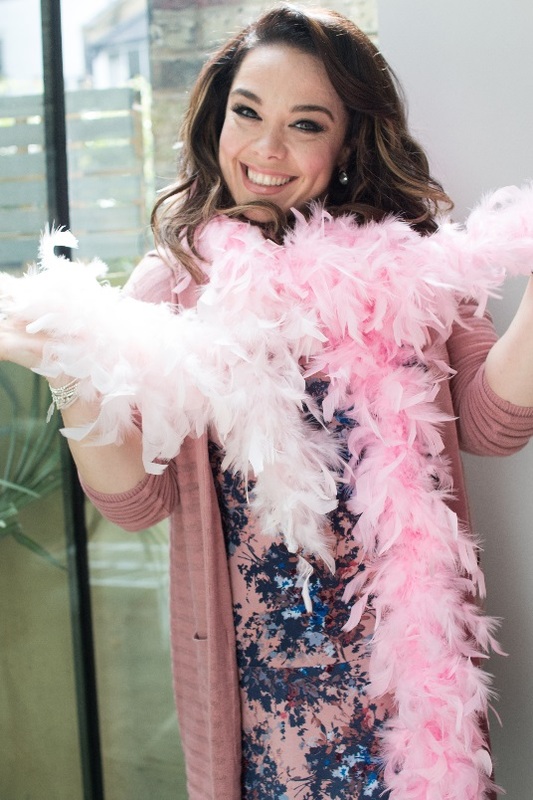 This October, actress and TV presenter Lisa Riley is encouraging the UK public to dig out their pink glad rags for Breast Cancer Now’s flagship fundraiser, wear it pink, which takes place on Friday 19 October. Wear it pink, the UK’s biggest pink fundraiser which takes place during October’s Breast Cancer Awareness Month, calls on supporters to ditch their everyday colours and pull on some pink to raise money for Breast Cancer Now’s life-saving breast cancer research. The fundraising event, back for its 17th year, encourages supporters to hold events in their communities, schools and workplaces on Friday 19 October and donate to Breast Cancer Now to help the charity achieve its aim that by 2050 everybody who develops cancer will live, and live well. wear it pink started in 2002 and has so far raised over £31 million for Breast Cancer Now’s vital breast cancer research. Lisa’s mum, Cath, was diagnosed with breast cancer in 2000 and died in 2012 after the disease spread to her pancreas and became incurable. “I will be wearing pink this October for my beautiful mum who lost her life to breast cancer. I know the devastating effect this awful disease can have and I want to help raise vital funds for Breast Cancer Now’s research so that together, we can all help to achieve a future where everyone who develops breast cancer will live – and live well. “Wear it pink is a brilliant opportunity for people across the UK to get together, wear pink and raise money for breast cancer research. It’s so easy to get involved – you can hold a pink cake sale, do a pink non-uniform day in the office or have a pink party at home with your friends. To take part in wear it pink this October, please visit wearitpink.org for further details, fundraising ideas and how to register for your free fundraising pack.